Nueva Alcaidesa is a new project of wonderful homes, with wonderful views. The project is attractively designed to give a Mediterranean touch. 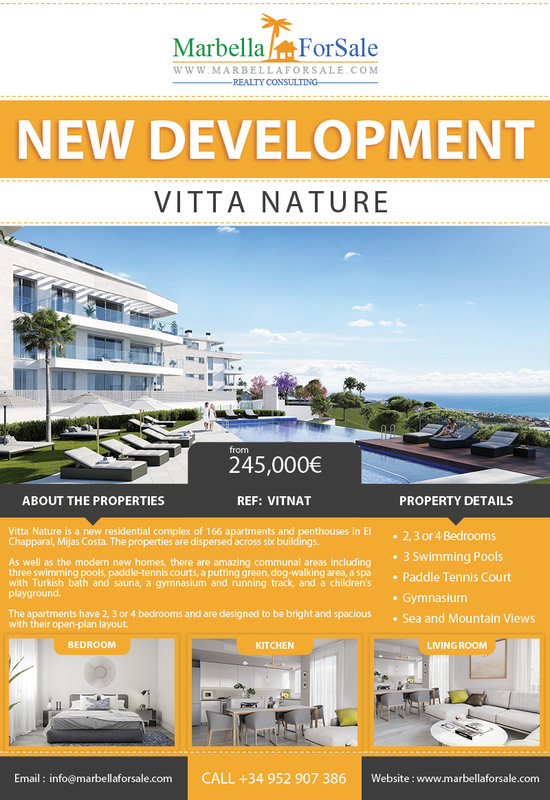 Vitta Nature is a new residential complex of 166 apartments and penthouses in El Chapparal, Mijas Costa. The properties are dispersed across six buildings. The apartments have 2, 3 or 4 bedrooms and are designed to be bright and spacious with their open-plan layout. The kitchens are fully fitted and come with BOSCH appliances, and an island.